The World Reacts to Venezuela’s Historic Constituent Assembly. Social movements, regional governments, allies and opponents of the Bolivarian Revolution have been highly vocal in response to the event. 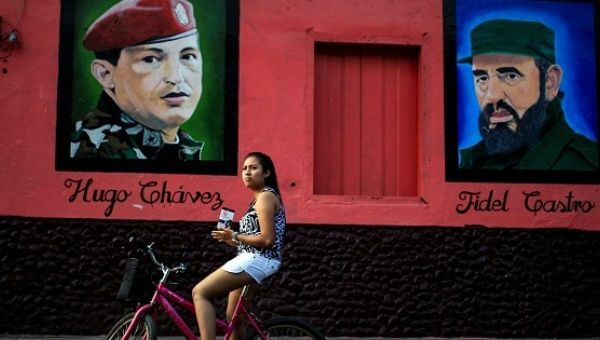 As hundreds of thousands of Venezuelans headed to the polls Sunday to vote for 545 members of the National Constituent Assembly, the electoral event has been surrounded by global opinions. Venezuela is one of only eight countries – including, most recently, Bolivia and Ecuador in 2007 – that have convened the historic democratic process to reform their constitutions. The South American nation hopes the exercise will clear the path for a lasting social peace and an end to the foreign-backed chaos that has paralyzed many of the country’s institutions. Venezuela Electoral Board Almost 100% Voting Stations Operating. Throughout the country, voters have expressed their surprise with the efficiency of the voting. 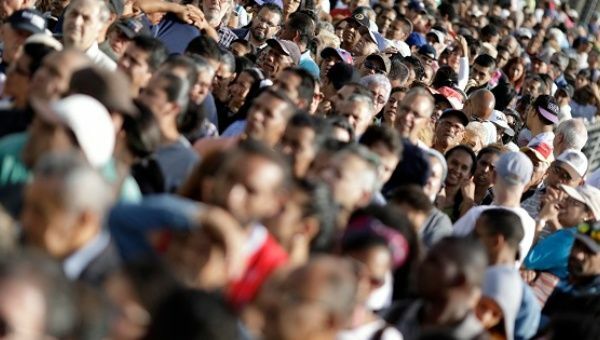 According to the most recent report from the National Electoral Council of Venezuela, nearly 100 of the polling stations across the country are up and running as hundreds of thousands of Venezuelans line up to cast their ballots for the National Constituent Assembly. Venezuela Votes for National Constituent Assembly: Live Updates. The National Constituent Assembly is intended to further develop the country’s democracy and help ease tensions with the opposition. Polling stations opened at 6 a.m. local time, following a bugle wake-up call and fireworks. Almost 20 million Venezuelans are registered to vote for 545 members of the National Constituent Assembly. The head of the CNE, Tibisay Lucena, said Friday that the fingerprint-based voting process is automated and guaranteed that the rule of “one elector, one vote” will be in place. The rule prohibits voters from voting more than once. Popular movements have responded to the need to present their political platforms for consideration. Grassroots organizations are at the heart of the National Constituent Assembly vote on Sunday in Venezuela. The meeting will reaffirm Latin America’s support for the Bolivarian Revolution and the democratically elected government of Venezuela, and will also discuss the illegal attacks led by the right wing in Venezuela with imperialist support, Fernando Gonzalez, president of the Cuban Institute of Solidarity with the Peoples, said in a statement. US Funds ‘Terrorist’ Separatist Groups in Bolivia: Evo Morales. The Bolivian leader accused Washington of supporting separatism in his country in 2008. 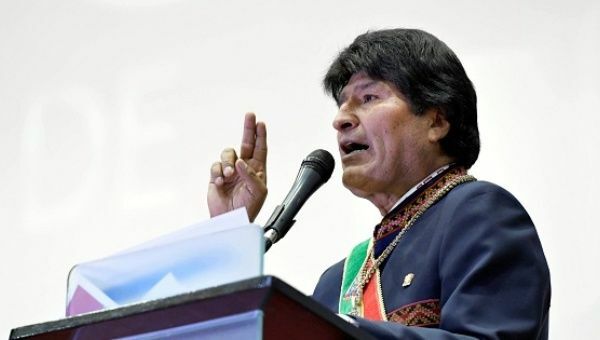 Bolivian President Evo Morales on Monday accused the United States of funding opposition groups with at least US$4 million to destabilize his government. “According to e-mails, between 2006 and 2009, the United States Agency for International Development (USAID) poured at least four million dollars into separatist movements” in four of the nine regions of the country, said the left-wing leader. In 2008, authorities of the Santa Cruz, Beni, Pando and Tarija departments, which make up the Media Luna region, carried out referendums in order to form autonomous governments. The referendum organizers, according to Morales, were connected to separatist efforts. Realizamos un análisis de los informes de WikiLeaks, donde se demuestra cómo EEUU patrocinó el separatismo en Bolivia. At the end of 2008, Morales expelled former U.S. Ambassador to Bolivia Philip S. Goldberg as well as all personnel from the Drug Enforcement Agency, DEA, accusing them of conspiring against his government. The White House had denied these charges and responded by expelling Bolivian Ambassador to the United States Gustavo Guzman. 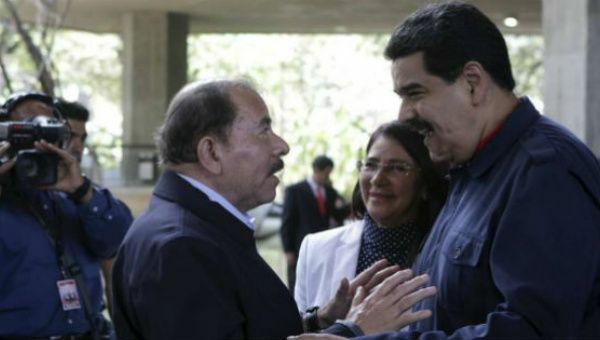 US Threatens Nicaragua With Sanctions for Supporting Venezuela. The U.S. Ambassador to Nicaragua Laura Dogu said the U.S. government and congress members have “noted which countries support Venezuela,” stating that Nicaragua “does not have many friends in Washington, for the support it gives to Venezuela,” affirming that congress most likely will vote “in favor of approving the Nica Act,” according to Bolsa de Noticias newspaper. Maduro Says Constituent Assembly will Guarantee Peace, Justice. Caracas, (P L) President Nicolas Maduro has insisted that the first issue of the National Constituent Assembly (ANC) will be to guarantee peace, justice and truth in this South American nation. Mexican Activists Call for US to End Blockade Against Cuba. The solidarity group denounced Trump’s move to reverse a diplomatic opening between the two countries. 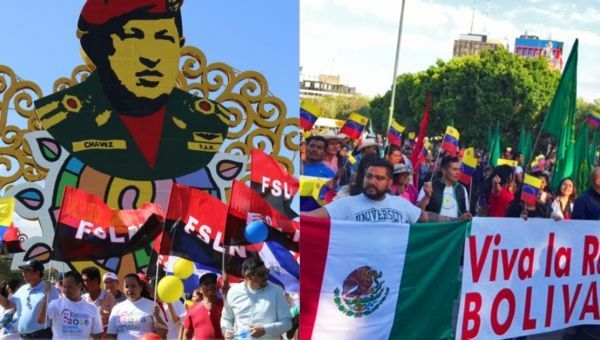 The Mexican Solidarity Movement with Cuba demanded the United States lift the blockade against socialist government Saturday, marching to the U.S. embassy in Mexico City. MMSC denounced U.S. President Donald Trump’s move to reverse a diplomatic opening between the two countries. 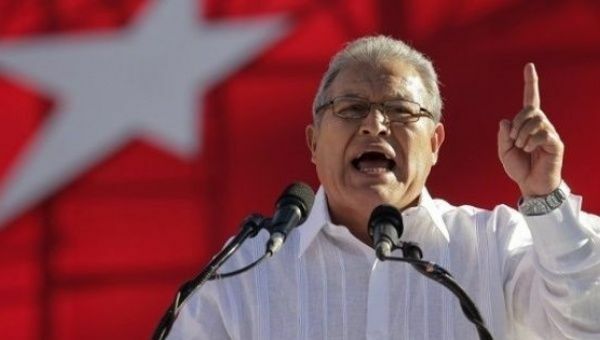 The group’s leader Jesus Escamilla stated that Mexicans reject the U.S. blockade and demand Trump lift it and move to normalize relations with the Caribbean island.